Pine nuts have been enjoyed since ancient times and contain many healthy nutrients as other nuts, including healthy monounsaturated fats and antioxidants. Pine nuts are actually the seeds of pine trees. They are commonly eaten raw or roasted, and their sweet nutty flavor and crunchy texture lends itself well to snacking, vegetable dishes and sauces like pesto. Pine nut is known by several names like cedar nuts, pinon nuts, pinyon nuts and pignoli. It is called chilgoza in Hindi. Chilgoza is found commonly in India, Pakistan and Afghanistan. The seeds are small and elongated, measuring one to two inches in length. Some of the health benefits of pine nuts include rich reserves of Vitamin A, lutein both of which are known to improve your baby’s vision. They also contain monounsaturated fat which are good for your baby’s heart health. Its Vitamin D content helps in building stronger teeth and bones in your baby. Pine nuts are rich sources of Vitamin C and can effectively boost your child’s immunity. The protein and magnesium in pine nuts makes them an excellent source of energy. They are a good source of iron, which is good news for your baby’s circulatory and nervous systems. Vitamin E present in pine nuts is required for maintaining the integrity of the cell membranes. It also protects your baby’s sensitive skin from the harmful UV rays. The emollient properties of pine nut oil keep your child’s skin well moisturized and helps promote healthy and glowing skin. Pine nuts are an excellent option for healthy evening snacking for your child in place of the oily and sugary processed market bought options. It contains protein that provides an instant source of energy. It also helps to repair and build the muscle tissues. Protein is a slow burning fuel that provides a long lasting energy boost which does not result in burnout. It also helps to improve your baby’s body’s use of oxygen, increasing the energy levels. Pine nuts contain beta-carotene and antioxidants, which are very beneficial for the health of the eyes. Lutein in pine nuts helps the eyes to filter UV light, preventing macular damage. Having pine nuts can help your baby in having sharper vision and healthy eyesight. Pine nuts are rich in monounsaturated fats that help to lower cholesterol in the blood. 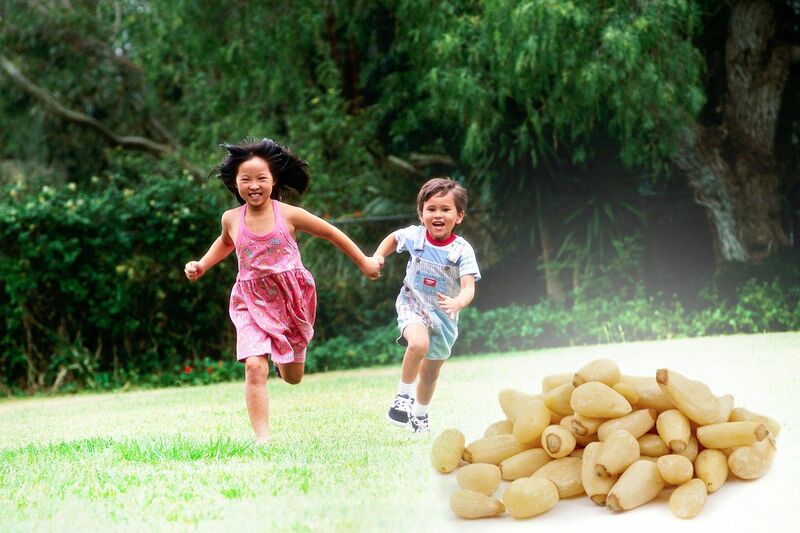 Regular consumption of pine nuts by your child increases good cholesterol and reduces bad cholesterol in his or her body. Foleic acid in pine nuts helps the liver to remove triglycerides from your baby’s body. It also favors a healthy blood lipid profile which can help in preventing coronary artery diseases and strokes later on in life. Pine nuts are extremely high in antioxidants. These antioxidants kill free radicals present in your baby’s body that encourage the development of cancer and other types of diseases. It also helps your child’s body to develop resistance against infectious agents and viruses.